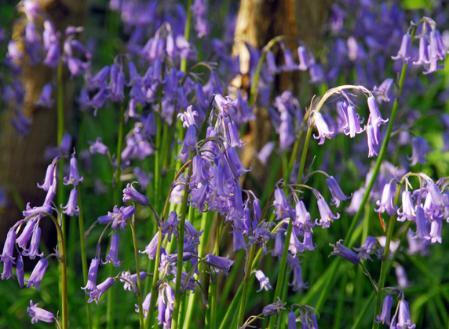 Hyacinthoides belongs to the Liliaceae family. Not that long ago these bulbs were known as Scilla. The name has changed but they still brighten up your bushes and summer flowering perennials by planting these lovely bulbs in between. And the big benefit is their ability to multiply every year ! This is one of the tallest-growing scilla and also the one that is last to flower (one rare species blooms in the fall). 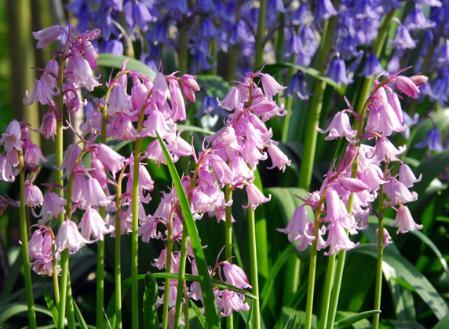 Hanging from the sturdy, round flower stalks are lots and lots of broad, bell-shaped flowers. The colour of this species found in the wild is violet-blue, but there are also large-flowering pink, white, light blue and dark blue cultivars available. Usually, these bare bulbs are sold as a mix of colours. Plant the bulbs in locations where the soil is rich in nutrients and sufficiently moist, and do so as soon as possible after acquiring them. Landscape uses: under trees and shrubs, and in frequently mowed lawns. 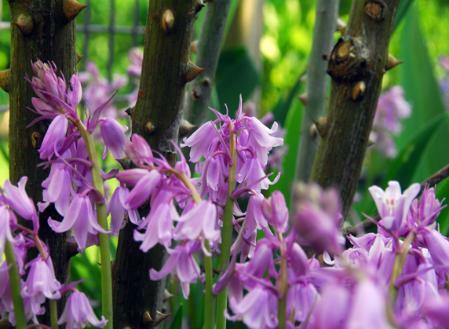 These scilla look somewhat like the previous species but do not grow as tall and blooms a bit earlier. The flower stalks often lean a little toward one side because the flowers bloom all on one side.